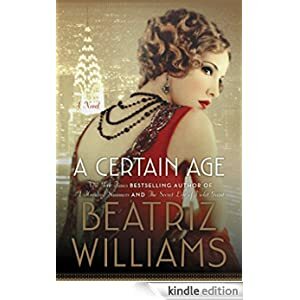 As the freedom of the Jazz Age transforms New York City, the iridescent Mrs. Theresa Marshall of Fifth Avenue and Southampton, Long Island, has done the unthinkable: she’s fallen in love with her young paramour, Captain Octavian Rofrano, a handsome aviator and hero of the Great War. Octavian is devoted to the beautiful socialite of a certain age and wants to marry her. While times are changing and she does adore the Boy, divorce for a woman of Theresa’s wealth and social standing is out of the question, and there is no need; she has an understanding with Sylvo, her generous and well-respected philanderer husband. But their relationship subtly shifts when her bachelor brother, Ox, decides to tie the knot with the sweet younger daughter of a newly wealthy inventor. When Octavian meets Sophie, he falls under the spell of the pretty ingénue, even as he uncovers a shocking family secret.